Almost a year ago I posted that the husband gave me a trip to Japan for my 30th birthday. We were supposed to go in March of this year during our 5 week trip to Asia. But a few days just before our flight, the tsunami happened, then the nuclear thing happened. We sort of waited a bit before canceling our trip. Waited a bit = the night before. I think we were hoping that the nuclear thing was not real or something. Anyway, long story short – we didn’t push through. We didn’t even get a refund because our airline didn’t cancel flights and it would have cost more to rebook than just not go (the risks of promo fares). And so I thought that that was it for Japan. Until a few months ago when we were planning for another vacation. The husband wanted to go to Peru and do the Machu Picchu thing – with the camping and hiking, the works. Hello!!! Too much effort on my part so the idea was nixed. We’ll need to “train” more for that and found it wiser to push it back to sometime next year – or in 2 years – or when I can afford the helicopter ride straight to the summit. So the search went on and on until the husband found super tickets for Japan with Lufthansa. We’ve planned for this year to be Japan year and lo and behold – the travel gods were smiling upon us once more. 550 Euros round trip. It was a steal. We bought them that day…and started to re-plan our previous itinerary. The original trip was only for 9 days. This time, we were going for 15 days. So a whole lotta changes and possibilities were up in the air. 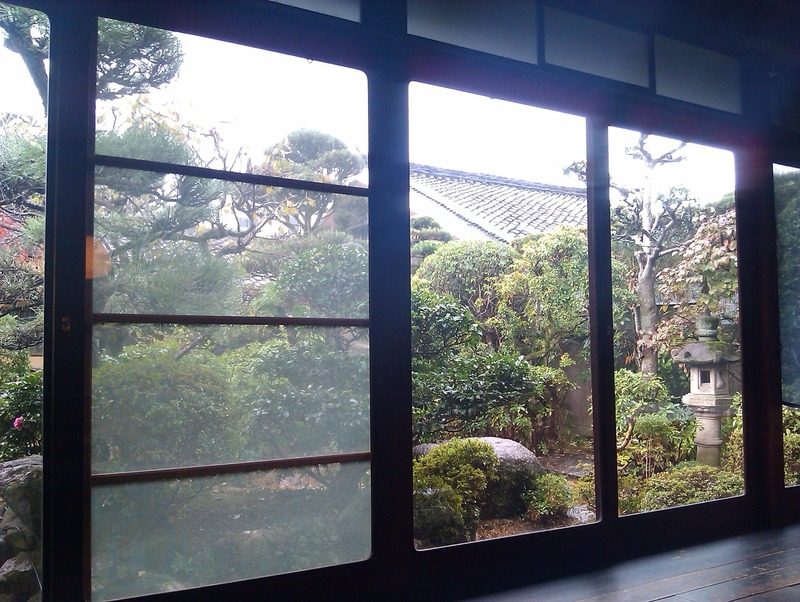 I wanted to spend more time in Kyoto because there’s more to see than Osaka. And this trip was concentrated on the Kansai area. Our point of entry was Kansai International Airport so for us it made more sense to spend time around the place. No expensive Shinkansen tickets. We didn’t need the JR pass either (but you’ll find out why soon). Besides, we only had 2 weeks and it’s obviously not enough to see all of Japan. So Tokyo will wait until the next trip. Looking back, it was a well planned trip. We saw most of what we wanted to see and experience. So no regrets. More details (and photos) on the next post. So for my birthday, along with a super surprise party the husband surprised me with…a 10-day trip to Japan!! He was so cute when he gave me my present. And I was so dumbstruck that it took me 5 minutes before I realized what the heck was happening. I didn’t expect anything from him aside from the gourmet dinner on the night of my birthday and the surprise party. For the party, he went all over Paris with his supermarket caddy just to get me balut, sinigang, and cassava cake. Effort kung effort ito. But then in front of everyone, he gave me a small bag. 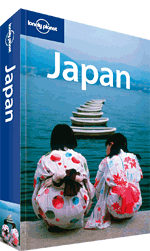 And in it was a Lonely Planet Japan book. Okay, so something should have beeped in my brain then but due to excessive alcohol intake, nothing happened. 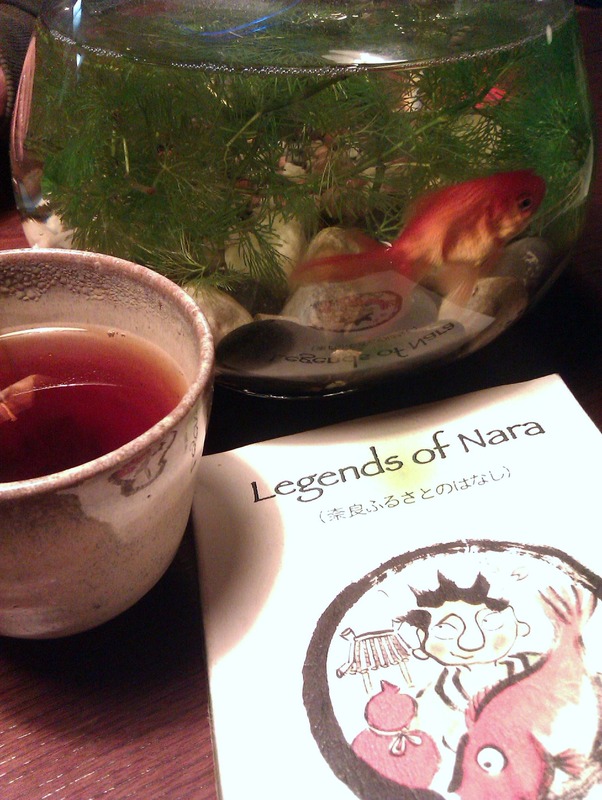 With it was a japanese printout with “Free Kansai trip” on it and xc-san and greg-san characters. xc: Uhhhhmmm…thanks, I guess. 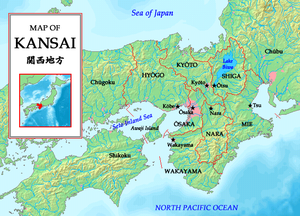 What’s a Kansai? Slow much? After the normal 5 minute xc reaction time I finally got it!! I’m really off to Japan!!! And now most of the preps are done. We’ve booked the hotels and I have my visa. Awesome! ps – I’ll let you know about the visa requirements, etc on a future post.